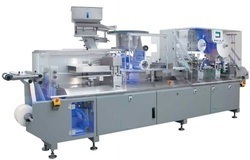 Victory is a highly sophisticated Blister Packaging machine by Accupack. This multifaceted machine is endowed with an in-built plug assist assembly which facilitates the processing of intricate forms and special materials along with a Human Machine Interface which regulates the temperature. Hello World, we are make blister packaging machine (Thermoforming Machine) it is use to all type blister packs. 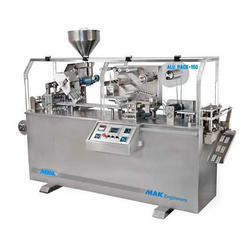 Blisters Sealing Machine is a low cost hand operated blister sealing machines. Easy and economical way of blister packing. Simple construction. Does not need skilled manpower. - Suitable for blister packs (PVC/Alu) containing tablets, capsules, caplets, tabsules, dragees, etc.